In her first television interview, a 24-year-old Alabama woman who spent four years as an ISIS bride told ABC News that she'd felt obligated to go to Syria once the so-called caliphate had been announced by the terror group. Hoda Muthana was born in New Jersey and moved to New York and then Washington, D.C., before finally settling with her family in Alabama as a seventh-grader, she said. Muthana said she had a good relationship with her family but found home life very strict and longed for a more Americanized life, one in which she was able to go out and have friends. Hoda Muthana is pictured with her 18-month-old son. She left Alabama four years at the age of 19 to marry an ISIS fighter. Now, she wants to return to the U.S.
At the age of 17, she turned to social media, specifically Twitter. A year later, she became radicalized, Muthana told ABC News Tuesday. Once she joined ISIS, she sent messages of hate herself. She spread ISIS propaganda online, calling for attacks on Americans. In one tweet regarding Memorial Day weekend, she wrote: "Americans wake up. ... Go on drive-bys and spill all of their blood. ... Veterans, patriots." When ISIS announced the so-called caliphate, Muthana said, the community she'd joined "interpreted ourselves that it was obligatory upon us to go." She said she was driven by a fear of God and a fear of doing the wrong thing, so she traveled to Syria without thinking of the consequences. Hoda Muthana, 24, spoke to ABC News for her first television interview. 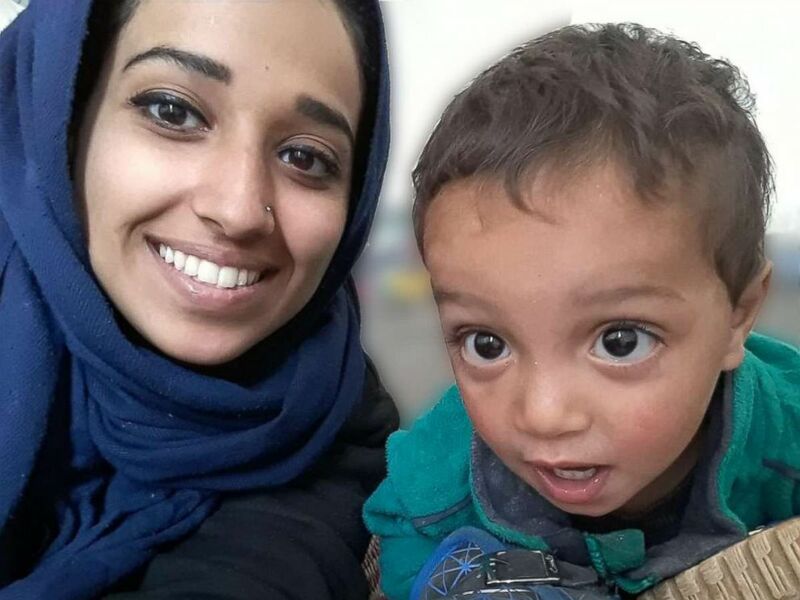 Muthana, an Alabama woman, traveled to Syria in 2014 and became an ISIS bride. She now wants to return to the U.S.
Muthana, who would not comment on how she paid for her trip to Syria, first traveled to Turkey and then crossed the border into Syria in November 2014. Muthana said she remembered getting shot at as she crossed the border. She was 19 at the time. In 2017, Muthana's father told ABC News' Diane Sawyer that he'd been proud when she seemed to become more devout about religion. He said he had no idea that she was secretly taking cues from ISIS recruiters sending her messages over the phone. "I never thought in my life that it would happen to us, to me, to my family, but it happened," he said. "It could happen to any other family." She was put in a safe house in Raqqa, the so-called capital of the caliphate, where, she said, about 200 people lived. She said that she had one option if she wanted to leave the house: Get married. So, she married an Australian ISIS fighter. He was killed three months after their marriage, she said. At 20 years old, Muthana became a widow for the first time. She later married a Tunisian, who fathered her only child, a son. He was killed a little over a year later, she said. "Everyone blames the struggles of the things that go on in a war zone that it's a test from God basically," Muthana said. Muthana said although she never saw any executions, she did see dead bodies in public. 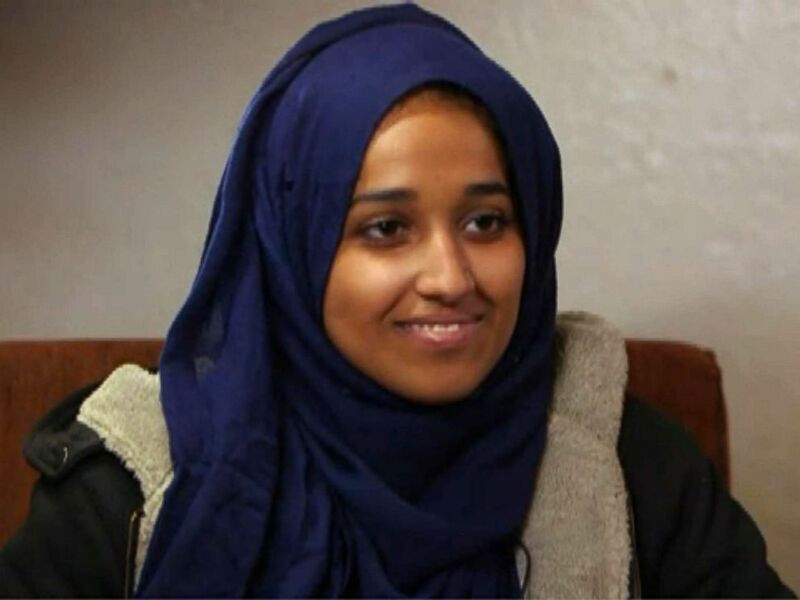 She told ABC News she felt shame hearing of the tweets she posted when she was part of ISIS. I hope America doesn't think I'm a threat to them and I hope they can accept me. "I was still at the peak of being brainwashed I guess and I had people all around me that were just widowed so we were very angry ... because we were all just young girls married for the first time -- most of us it was our first relationships -- and then he just suddenly died," she said. "I can't even believe I thought of that." 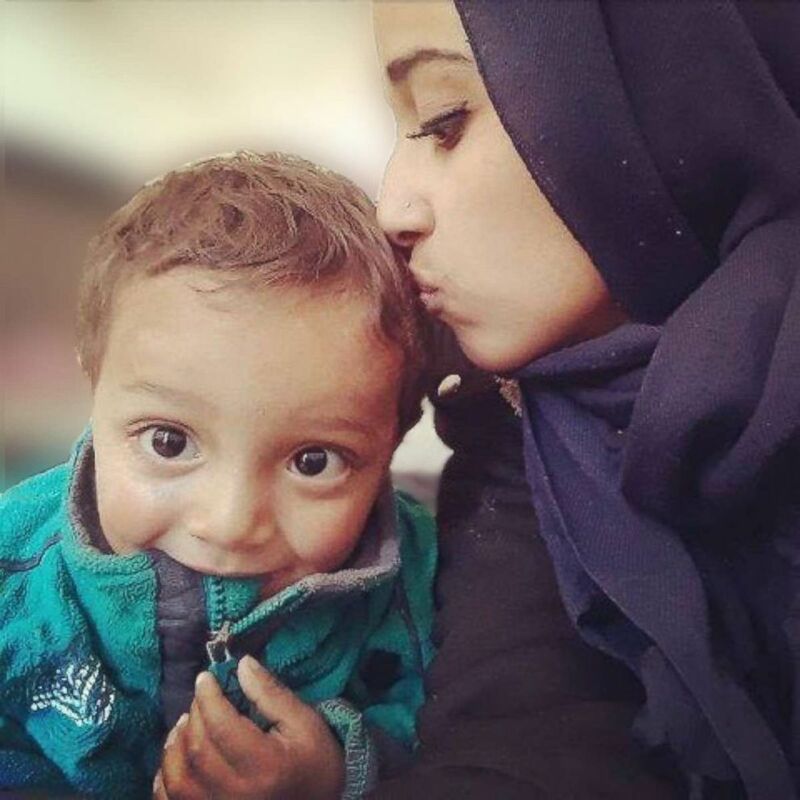 Two years after she arrived in Syria, Muthana became pregnant. She said that's when she started thinking about her future in a war zone, about her family and about the fate of unborn child. When she went to her friends and her husband about possibly leaving, she said they were shocked. Her 18-month-old son was born in Raqqa. She said they stayed there for two weeks as mortars were fired in the neighborhood. "The more I gained knowledge, I knew that it wasn't correct. ... We were just at the beginning of seeking knowledge once we did come to ISIS so we had just young people not knowing much about their religion, thinking they knew everything really, and we interpreted everything very wrong," Muthana said. For six months, Muthana said, there was no food in the markets or in the trucks. People tried to hide the food they had, she said. She and her son were forced to eat the wheat that was fed to cattle. She decided it was time to go, she said, after she plucked grass from outside her home and fried it. Seeing her son eat grass was the final straw, she said. "Everyone was starving," she said. She surrendered to Kurdish authorities and is now one of 1,500 foreign women and children living in a Kurdish-run refugee camp in northern Syria. She expressed remorse and regret about her social media posts inciting violence in the name of Islam and ISIS. "I wish I could take it completely off the Net, completely out of people's memory. ... I regret it. ... I hope America doesn't think I'm a threat to them and I hope they can accept me and I'm just a normal human being who's been manipulated once and hopefully never again," she said. Muthana said U.S. consul officials had not been in contact with her yet. She said she cried herself to sleep, worrying that if and when she returns to the U.S., she will be sentenced to jail and separated from her son. Muthana's family lawyer, Hassan Shibly, told ABC News the young mother was "brainwashed" by ISIS and now feels "tremendous remorse." "This is a young, vulnerable woman who was brainwashed and manipulated by monsters who took advantage of her," Shibly said in an interview that airs on "Good Morning America" on Tuesday morning. "Hoda is absolutely disgusted by the person she became while under the spell."